Ensuring that your gas meter is far enough away from fresh air intake vents, appliance exhaust vents, windows, doors and other openings is not only a code requirement, but it could save your life. 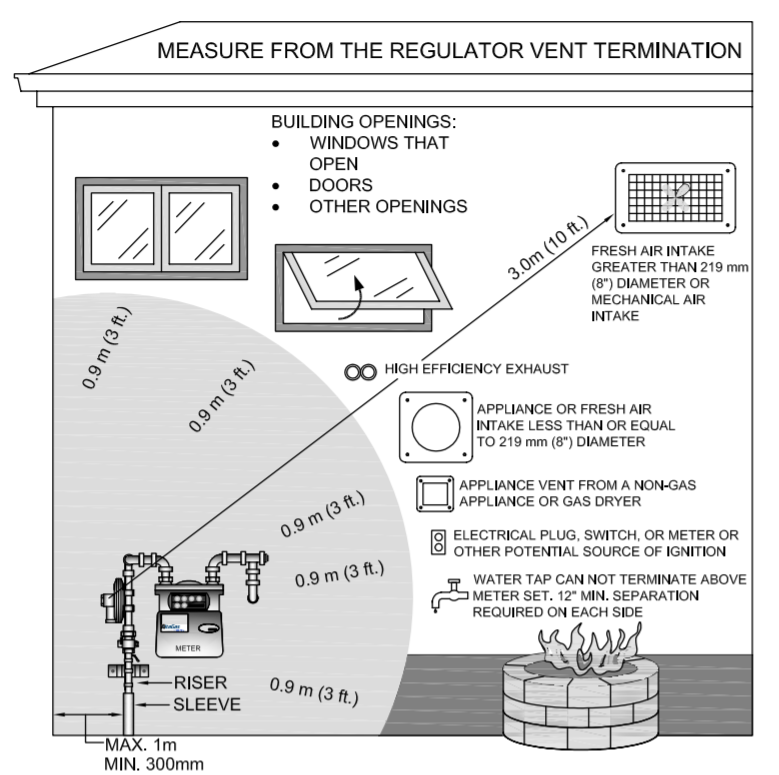 Below are some tables to assist in identifying any potential gas meter or gas exhaust hazards. It is good practice to contact your local gas service provider if you smell gas, or have any concerns.